Chimay’s Original Trappist Beer: Was It From Wheat or Spelt? Today, Chimay’s beers are mashed from malted barley, with sugar and wheat flour added as additional fermentable material. Other BelgianTrappist breweries and abbey beers also use malt and sugar, generally, but some may be all-malt or all-grain at any rate. In the 1800s, as monasteries and brewing were being restored or newly established in the wake of the French Revolution, it is unclear what grains were used for Trappist beers in Belgium. As I have explained, there is an English strain in Trappist brewing, via e.g., English procedures applying at Melleray in Brittany (early 1800s) and at Dieulouard abbey (early 1600s-c. 1790). This might suggest barley malt was the basis of the beers brewed there and perhaps 100% of the mash. Bear in mind too that when Dieulouard was operating there were few brewing abbeys (if any others) left in France on the eve of the Revolution, so the English influence would have been stronger when abbeys and brewing re-started after 1815 in France and in what became Belgium. Still, as scholar Richard Unger and others have documented, mixed grain bills were often used in Middle Ages brewing in England and France. Second, brewing would often depend on what a monastery had available to it and in particular what crops it produced. There was probably a variety of grain bills used in French, Flemish and Walloon monastic brewing from 1300, say, until the French Revolution. German abbeys in Bavaria would have used all-malt from the time of the Pure Beer Law – at least one supposes this, but then they had or could obtain malt by virtue of being in an area known for brewing which used this material as a matter of course. In my recent post describing a visit to a brewing monastery in France in the 1890s by E. Harrison Barker, I noted he called the brew there, “monastic barley brew”. This implies that barley figured in the recipe, but we don’t know for sure. Barker may have reflexively called the beer “barley brew” because of his English background and knowledge that beer was made from barley. Also, the beer’s taste seemed rather foreign to Barker, and one reason for that may have been its non-barley malt grain bill. What did Chimay, for its part, use in brewing after its founding on land ceded the Trappists by the Prince of Chimay at Scourmont in 1850? The monastery probably knows from its own records, but if it does, I don’t think this information has ever been disclosed. We have a way to infer what was used from an account of its farm operations written in 1869. In that year, a book was published containing a description of the monastery, called “Histoire de l’Abbé de Rancé”, written by Abbé Louis Dubois. He stated in detail the crops grown: wheat (2/3ds of the field), rye (1/3rd), but with spelt (a form of wheat) and oats also produced. Perhaps proportions varied with crop rotation. 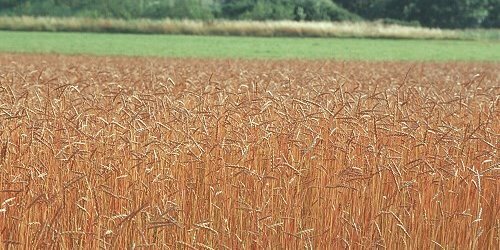 No mention is made of barley, and indeed other sources suggest barley did not grow well in Belgian Hainaut at least in this period. We know, too, from Georges Lacambre’s French-language brewing manual of the same period, that saison beers in Hainaut used barley malt and spelt but often only spelt. 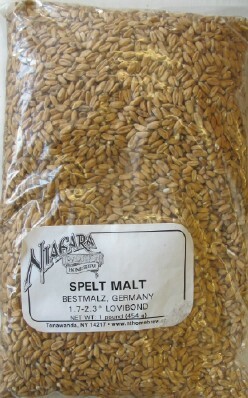 The spelt was always malted. Other grains if used, such as rye or oats, were not malted, he said. This leads me to think that Chimay, including the 7.2% abv one I discussed recently from 1877, was a wheat or spelt beer, or possibly a mix of grains I have mentioned known to have been grown at the abbey then. In this regard, the beers would taste, all things equal, lighter than a barley malt beer and be fairly frothy, as modern wheat beers are. If in 1877 Chimay was a wheat or spelt or mixed grain beer, it might resemble certain modern saisons; in fact this seems likely to me. Of course, possibly Chimay in the decades after its founding did grow some barley for brewing and other purposes. Perhaps the fathers obtained it by trading or otherwise from outside the abbey’s domain, as well. But I incline to think they used what was typically grown by them. The modern use of sugar and wheat flour in connection with barley malt makes sense to me as a way to lighten the body of a beer which, in its formative years, may have been notably light-bodied due to a substantial malted spelt or wheat content. The monks may have, probably did, know the earlier history of farming and brewing onsite. Once barley malt was fixed on as the base material, they may have decided to leaven it, so to speak, with other materials. Purpose: to achieve a profile similar to the beers originally made on the estate. I still feel English brewing influence contributed to the dubbel style and strength, but the knowledge now of what Chimay actually grew between 1850 and 1870 suggests to me some early Trappist beer, or at least Chimay’s, was not all-barley malt and may have used none in the mash. Note re images shown: the first image shown is from this homebrewing supplies website. The second is from this organic farming website of the German government. Images are believed available for educational and historical purposes. All feedback welcomed. An English Visitor Reports on Trappist Beer – in 1893.